Hospitality degrees teach the skills necessary for managing services that millions of people rely on for tourism, travel, and daily life. For example, hospitality management majors often find jobs managing hotels, restaurants, and amusement parks. Successful graduates can find opportunities that range from entry-level employment to positions within a leading executive team. Combining a hospitality major with knowledge in other areas, such as finance or real estate, can yield compounded benefits due to the business goals that graduates will ultimately be tasked with achieving. Hospitality majors, therefore, should consider a concentration to boost the potential of their future career. Hospitality management is closely related to real estate management, so many employers expect graduates to understand the intricacies of the real estate market. Since hospitality jobs often provide the experience needed to manage a real estate business, some hospitality majors eventually transition their career toward starting their own business in real estate. However, graduates will first need to succeed with their initial employer, and this means that a thorough understanding of real estate is a prerequisite for success. A concentration in real estate, therefore, is often a good choice for hospitality majors. An understanding of law is critical for hospitality majors because they will need to understand the range of actions that can be legally taken when managing a facility. For example, law is very important in the hotel industry since legal rules determine when staff can and cannot enter a tenant’s room. In other industries, regulatory agencies play an active role in ensuring that food is safe or that facilities will not cause injuries. Hospitality majors, therefore, should consider acquiring an understanding of law through a legal concentration. Related: What is Tourism Law? Finance is critical in every industry because it provides the capital needed to hire employees, purchase facilities, and ensure stable operations. Hospitality majors who understand the importance of capital can often make better use of resources and, therefore, perform more effectively in their careers. Graduates with a thorough understanding of finance will also have more room for advancement into the ranks of management in any business. 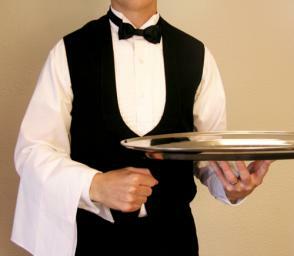 Hospitality businesses often have very high turnover rates among staff members. Moreover, understanding human resources is critical to knowing how to find and identify new employees who will be a good match for vacant positions. Graduates with an understanding of human resources, therefore, are in high demand in the hospitality industry. Employees with knowledge of human resources often enjoy high compensation and exceptional job security. Any business is started by one or more founders who foresee and seize an opportunity to add value. Since anyone can start a business, ambitious students can specialize in entrepreneurship so that they can recognize business opportunities in the future. Entrepreneurial skills are also helpful in almost any job position since employers need individuals capable of identifying and capitalizing on a wide range of business opportunities. A concentration in entrepreneurship will teach graduates the skills needed to carry an entrepreneurial mindset into their future careers to realize significant opportunities for advancement. Universities offer a range of concentration options because individual differences ultimately determine which specialty is right for a student. Choosing a hospitality major is a step in the right direction, and declaring a concentration opens an even greater door of opportunity. Students should, therefore, carefully consider what makes them unique to determine which concentration is right for them. Selecting the right concentration can start students on a trajectory that will lead to sustainable career success.